Many people recovering from surgery need a bed that changes position with minimal effort. Hospital beds are also ideal for those suffering from COPD or other respiratory illness. Depending on your diagnosis, your physician may prescribe a hospital bed for use in your home. 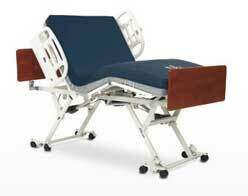 Olen Medical offers hospital beds for home use on a short or long term basis. We work with insurance and Medicare to minimize the paperwork headache, and we offer free delivery in our trade area.